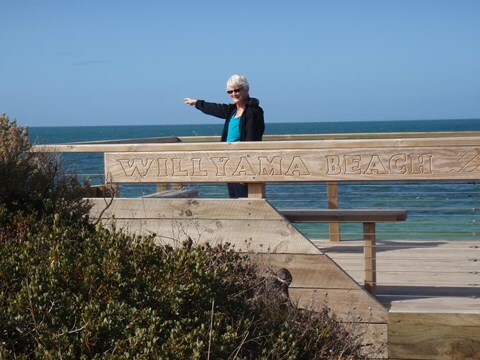 As described in my article titled “Three Days at Marion Bay” in our May newsletter, a highlight of our trip was our visit to the site of the wreck of the Willyama near Marion Bay on South Australia’s Yorke Peninsula. The 2704-ton (or 2705t) SS Willyama sank in Marion Bay, near Rhino Head, on 13th April 1907. She had been built, just 10 years earlier, in 1897 (for the Adelaide Steamship Co.). Her cargo was 4000 tons of coal from Newcastle. This coal, which was bound for Port Pirie, is said to have “provided many (of Yorke) peninsula’s residents with a private coal supply, at no charge, for many years” (“Yorke Peninsula Shipping” by Ronald Parsons). 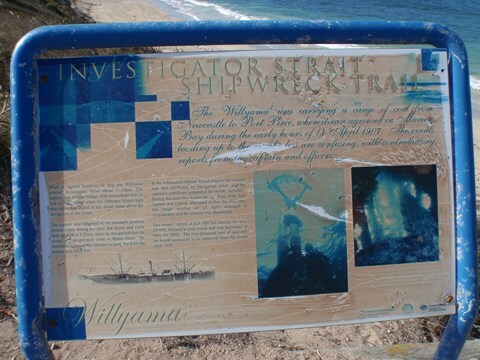 I’ve long yearned to dive on the wreck of the Willyama ever since Geoff Mower, our Society’s Public Officer and longest serving member, wrote an article about the wreck almost 34 years ago, for our November 1980 newsletter. 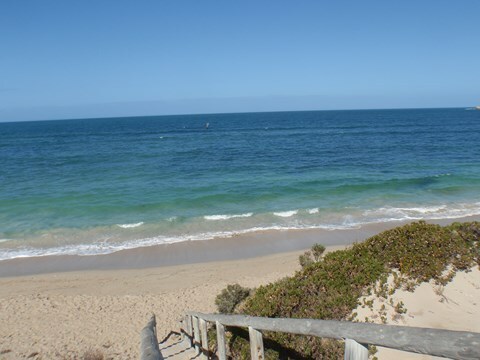 I was hoping to turn my dream into reality when I was going to visit Marion Bay just after Easter this year. Geoff’s 1980 article has been republished and can be read here. The article was accompanied by this sketch of the wreck site. You can click on the image to read his original dive report. Until I was able to take some photos of my own, Geoff’s sketch of the site was all that I had to go by. I think that Geoff did a pretty good job of sketching the wreck site. His article was first published in our November 1980 newsletter (No.43). I think that I was able to republish the article in a later issue when I was made Editor a little later on. I was able to read the article several times over the years and dream about diving on the wreck one day. 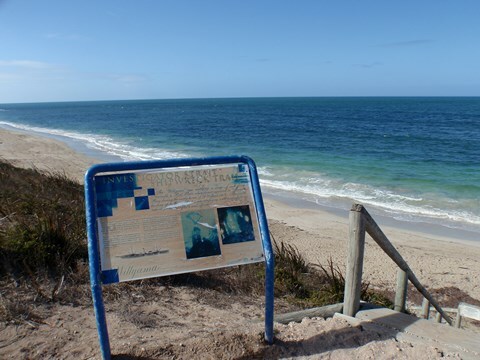 Although I have since visited Marion Bay on the odd occasion, I never did get to see or dive on the wreck. I hoped to change all that, however, when I prepared to travel to Marion Bay just after Easter this year. 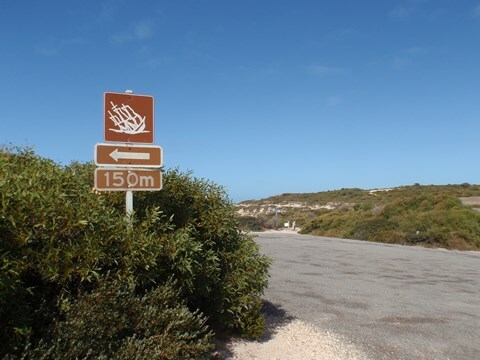 I planned to take my scuba gear with me, although I knew that I would have to dive alone whilst I was at Marion Bay. I hadn’t taken the time to re-study Geoff’s details about the wreck, but imagined that it was close to shore and accessible with relative ease. I wasn’t even sure just where the site was exactly, but assumed that it would become obvious to me once that I got down to Marion Bay. I could easily just ask around. Anyway, my plans all went awry when I visited my GP the evening before Good Friday and was told that I had a middle-ear infection and my sore ankle needed to be X-rayed and ultra-sounded. I wouldn’t be able to make such appointments until after Easter. 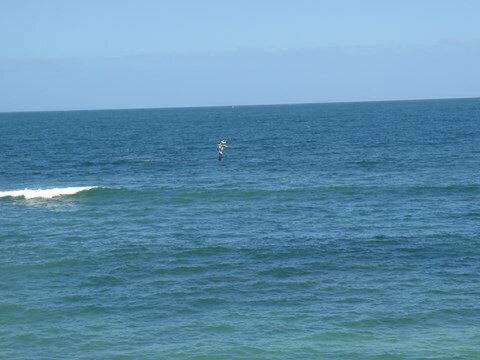 I was justifiably devastated, having planned to do several dives over Easter and the following week which I was taking off of work. It may have been just as well, however, since diving alone on the Willyama during less than ideal conditions would have been dangerous. At least I was able to see and photograph the wreck from the shore (just over 107 years to the day that she hit a reef on 13th April 1907). She was actually abandoned during a salvage attempt on 25th April 1907 (Anzac Day) when she became damaged during rough weather. 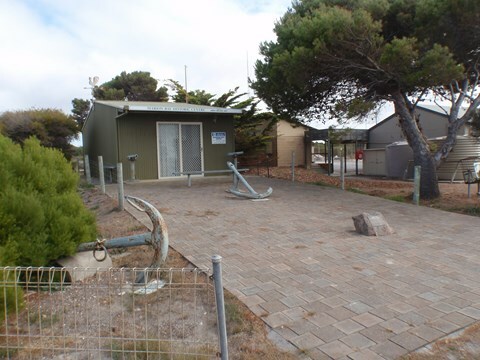 I was, coincidentally, symbolically visiting the site on Anzac Day 2014, 107 years after the abandonment in 1907. I want to share some of those photos with you, with reference to Geoff’s article. 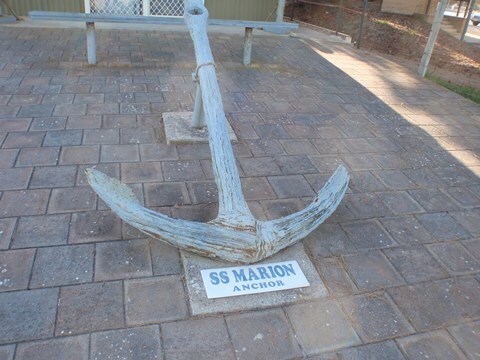 An anchor from the Willyama is located at the Marion Bay Historical Centre, along with an anchor from the SS Marion (of 1862). The Historical Centre was opened in October 1997. 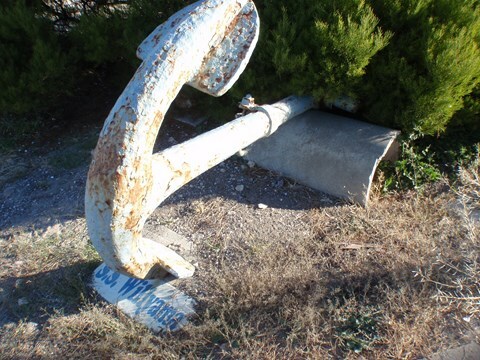 Unfortunately, the anchor from the SS Willyama is starting to disappear under a nearby shrub. “Not the same without you, mate. That’s great thanks Claire. It makes the effort all worthwhile. That should probably be “Warooka Rd” though. Do you know the origins of ‘Warooka’? ‘Warook’ said to mean ‘mud’ or ‘muddy waterhole’. ‘Warriooka’ is said to mean ‘ship’ and ‘warooka’ = ‘bird; or ‘parrot’. This all suggests that the aborigines thought of ships as birds and would declare “Warriooka Warooka”. 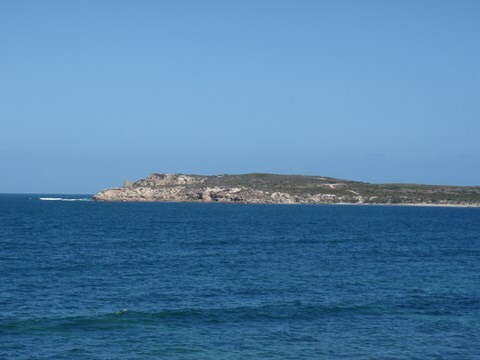 The native name for Marion Bay is aid to be Cockadowie, meaning ‘head of bay/water’. 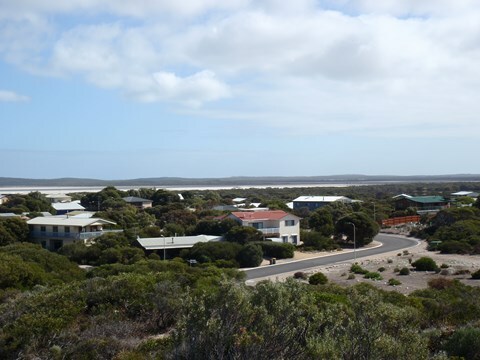 Marion Bay’s name comes from the time when survivors from the shipwreck Marion landed there in 1851, not from the SS Marion which was wrecked nearby in 1862. Thanks for the opportunity to revisit all of this.